Go to File > New soapUI Porject (ctrl-N), enter name of the project, select the option to add the REST service and hit ok (refer screenshot 1). 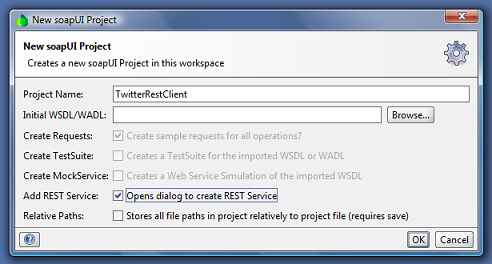 A dialog to add a new REST service will appear on the screen. Enter Service Name, Service Endpoint and choose the option to extract resource and method from the specified Endpoint (refer screenshot 2). 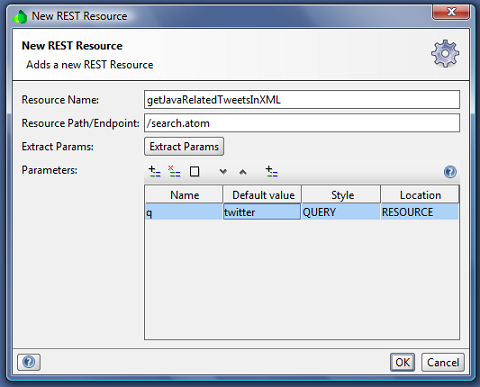 Once you click ok, another dialog to add a new REST resource will appear on the screen. 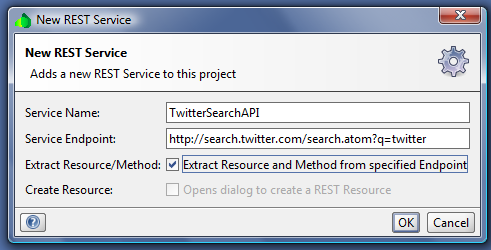 Enter the resource name as per your choice (refer screenshot 3). 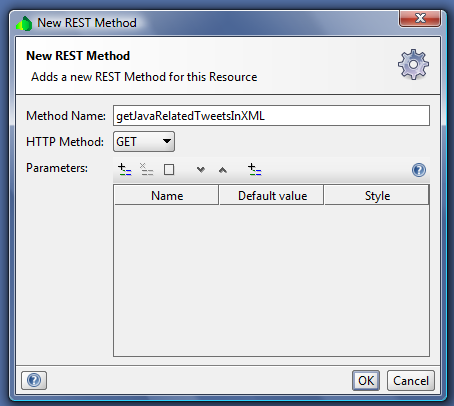 Next step is to add the name of REST method and click ok(refer screenshot 4). 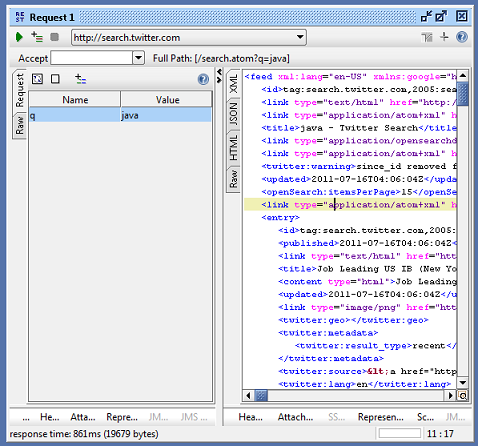 A dialog to submit the request will appear. Click submit button to submit the request to specified Endpoint URL and you will get the response (refer screenshot 5).